The long Cold War of the twentieth century has ended, but only now are the poisonous legacies of that “first nuclear age” coming to light. 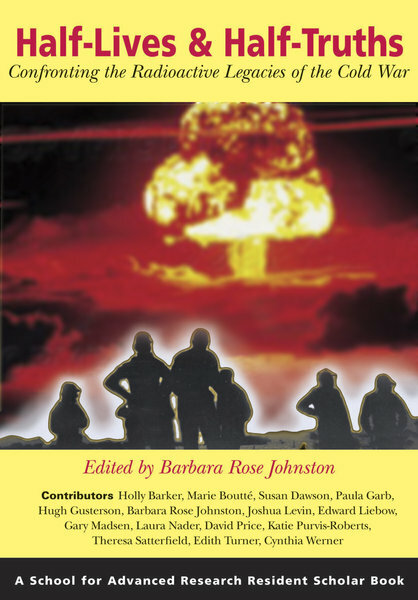 Activists and anthropologists, the authors of this volume reveal the devastating, complex, and long-term environmental health problems afflicting the people who worked in uranium mining and processing, lived in regions dedicated to the construction of nuclear weapons or participated, often unknowingly, in radiation experiments. The nations and individuals, many of them members of indigenous or ethnic minority communities, are now demanding information about how the United States and the Soviet Union poisoned them and meaningful remedies for the damage done to them and the generations to come. As nuclear proliferation accelerates, this struggle takes on ever greater urgency. “Half-Lives & Half-Truths: Confronting the Radioactive Legacies of the Cold War … tackle[s] issues relating to the production of scientific knowledge and the wide-ranging effects of nuclear weapons development, manufacture, testing, and proliferation. Situated in a particularly contentious, violent, and transformative period of global history Half-Lives & Half-Truths offers significant contributions to the critical study of relationships among science, technology, and society; ecological and environmental anthropology; and the social construction of health and environment in the 20th century. “These cautionary tales ought to be read carefully and taught widely.